Home > Special Offers > Sales > Join Us for the Power to the People Sales Event! Join Us for the Power to the People Sales Event! 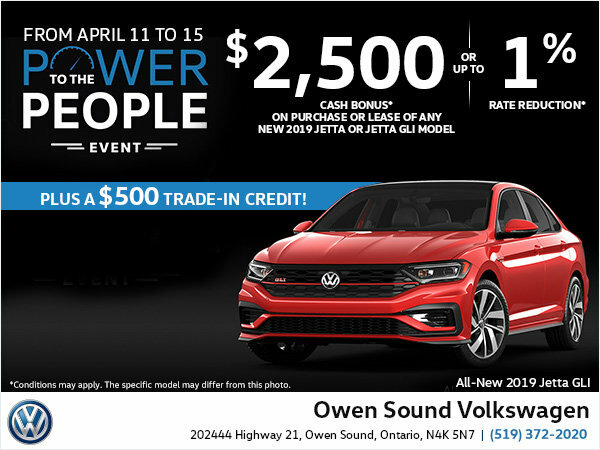 Now at Owen Sound VW ! Don’t Blink … or you will miss it. Featuring Every 2019 Jetta, including GLI! Plus a $500 Trade-in Credit!